Port – of – Spain, Trinidad, CMC — New West Indies skipper Denesh Ramdin is anticipating a myriad of challenges when he takes over the helm of the regional side, but says he is ready for the learning curve the role will present. The 29-year-old wicketkeeper was on Friday named by the West Indies Cricket Board to lead the Test team, replacing Windward Islands all-rounder Darren Sammy who held the position since November, 2010. Ramdin said despite his experience of captaining Trinidad and Tobago, the Windies role would require a greater skills set. “With Trinidad and Tobago it’s been good. I’m just taking it to another level now. I think the concentration level and the tactical level will be higher and I’ll be making stronger decisions in terms of Test matches,” Ramdin said. Ramdin has already led West Indies in a One-Day International and three Twenty20s, but has never captained in a Test. However, he said he would be seeking advice regularly from the senior members of the side. “It’s going to be fun. I’m sure some of the senior players who will be around will help me as well. 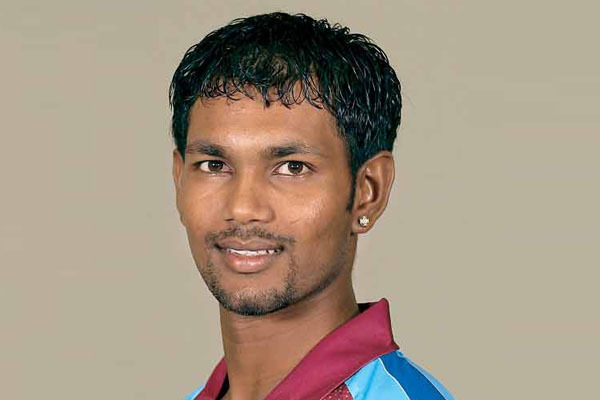 I will go to them for advice, I’m not going to do it on my own,” Ramdin stressed. Often criticized for his inconsistent batting, Ramdin has caught the eye recently with an enterprising run of form. He scored two of his four Test centuries in 2012 and hit another last year along with three half-centuries. In fact, he has averaged 44 over the last two years which has seen his overall Test average rise to 27.25. With the added role of captaincy, Ramdin said he was aware adjustments would have to be made to his game. “The experience that I have I would like to use that but there are some circumstances where I will have to change certain things in terms of my batting, and adapt to situations and bat with the lower order,” explained Ramdin, who has played 56 Tests. “There may be occasions where I need to work out the bowling and try to get quick runs for the team and put our ourselves in a better position.